She is wasting all her time doing some useless caca like packing, If you ask me the whole house is upside down. She is doing stuff other than cooking for moi. Kind of dumb. Her talents are in the kitchen not in the garage. And so I sit. IGNORED. My nose missing the good smells of a Tasty Tuesday. Maybe I should move to Canada or something. Koly....got room for one more up there??? My momma is ignoring me. She is even ignoring the hair in my eye. PHOTOS: This Dog Can Balance ANYTHING On His Head: This is probably the most talented dog ever. We don't know if he can fetch a bottle of beer for you, but he can balance one on his head! So he thinks he is talented? But can he fluff out like I do? 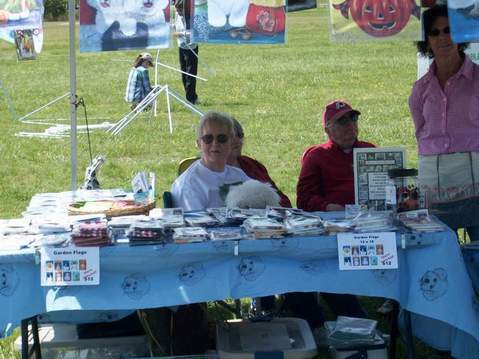 Williamsburg BARK IN THE PARK! And Miss SHARON, our wounderful voluteer who ran the whole thing!!!! Ms Darby and Mr Jim I see you too! 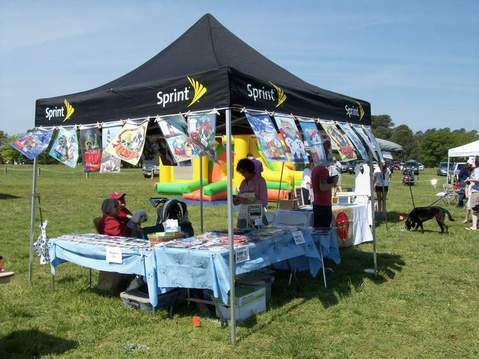 And I heard roomers of a kissing booth... Anyone have any evidence of that? 'vie who is excited and saving up for a food printer! I offered- SHE refused MY offer. No, I really don't understand. Why can't I have the pink things? I am a pink girl! You know I love pink! I am willing to taste them for you. I am risking my life, here. An "untested PINK thing! Of course they need to be tasted! Foolish momma. How do you know they are any good? Who cares how old the recipe for Macarons is. These are new! I say they need tasting. Fine. But if someone says they yuccky.... it's on YOU. They are all doing it! They are making the noises! They are LOUD!!!!! Don't they know? You can ask the momma about the gnocchi. Soooooo, we discovered the delicious sweet potato treat that everyone loves. Wash sweet potatoes and slice into 1/8 inch slices; set aside in a large mixing bowl. Pour water into the blender and turn it on (low). 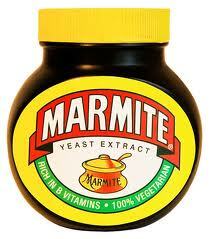 Drizzle the Marmite in slowly. Since it is gooey, slow is th eonly way it will come out. Add vinegar, pulse it in and you are done when you have a foamy liquid. Pour over the potato slices in the mixing bowl. Toss, to make sure all slices are covered. Set the bowl aside for about 15 minutes. 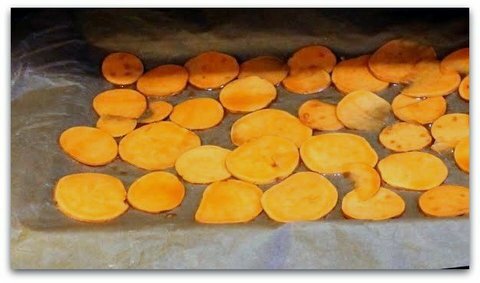 For baked chips Heat oven to 400F Place potato slices on a cookie sheet, single layer, and pour about 1/4 cups of marinade over each sheet. Bake for 35 minutes (or until crisp), turning at half-way point. The marmite makes the taters YUMMY!!!!!! And I suppose you wake up picture perfect and all beautiful? Riiiight. That's why you have to go PUT YOUR FACE ON. On March 18, 2013, we informed you of a voluntary recall on select Natura products. 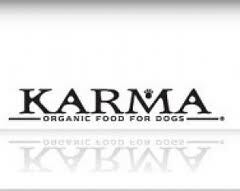 Out of an abundance of caution, we are extending our recall to include all Natura dry dog, cat and ferret food and treats that have expiration dates on or before March 24, 2014. We are sorry for the disruption, but we simply want to ensure that every product meets our highest quality standards. Natura canned products and Mother Nature biscuits are not affected. (see Treats table below for further detail). Please read below for more information about the recalled products and how to replace your pet food if it is included. Your pet’s health and safety are our #1 priority. We are taking all actions necessary to ensure that our products meet both your expectations and ours. Our Fremont plant has been focused on quality enhancements and is now shipping new product to stores that will be on shelves soon. 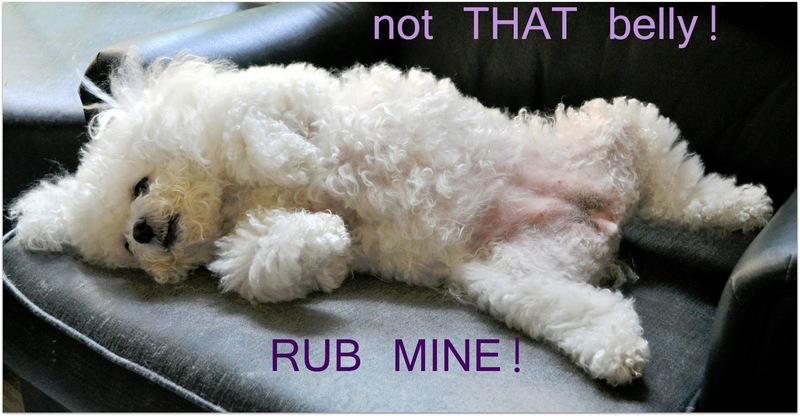 As fellow pet owners feeding Natura products, we share your disappointment and again, we are very sorry. 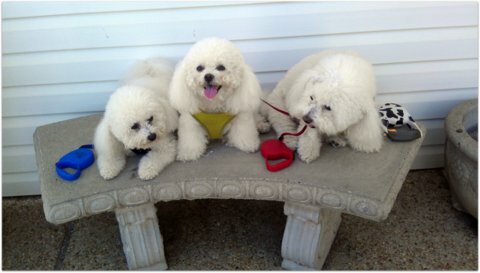 For additional inquiries, contact us at http://www.naturapet.com/about/contact-us or (800) 224-6123. Natura has issued a voluntarily recall of all dry products with an expiration date on or before March 24, 2014, for the following brands. No other Natura biscuits/bars are included. If your product is affected, and you would like a replacement, please download this form and follow the instructions. Hey Sammy, good for you!!! MIAAAAAO! Really? We don't have a cabana boy???? Well then, how does one get one of those umbershoot drinks with the fancy fruit wedges, around here? No nibbles? No bits of liver on a fancy plate? Worst pool side service EVER! How about some cheese? Helloooooooo..... how about some service??????? If I have to rate this place.... four star for the scenery. Service... 1 star. They don't even try!... Do you see that the one cushion is down? 0 star. Yes, your suggestion is right on target. Maybe now the message is received by all appropriate parties who seem to be in default. The situation needs to be CURED now. She will eventually poop out and the sucker upper with be silenced. 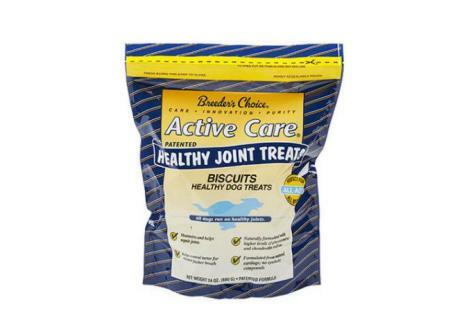 Breeder’s Choice, has issued a voluntary recall for a single batch of Active Care Biscuits-Healthy Dog Treats due to mold discovered in one of the lots of dog biscuits. 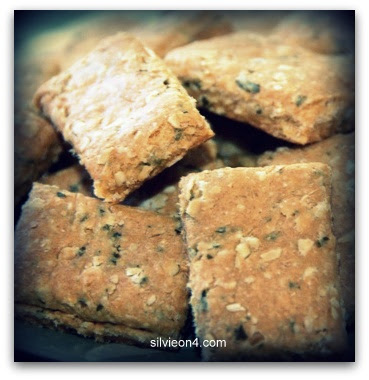 According to a press release from the manufacturer, the mold seems to have occurred due to varying dryer temperature settings for drying biscuits. This exposed the recalled product to excess moisture and has since been remedied. Breeder's Choice is a Central Garden & Pet company. Want to know what I think about "SPRING CLEANING"??? Why can't we go into the store? Daddy sat us down and waited with us while momma shopped. Why can't we go into the store? I mean we are well behaved, we are cool, and we are cosmopolitan. And I have a purse with money in it!!!! So really, what's the issue? PS, it was hot out there! We ended up going back in to the car for AC! Lessons needed to be learned around here. Points needed to be made. And the luxury of a back up hooman should never be undervalued. 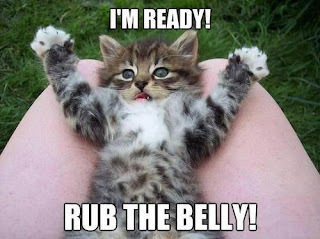 Some momma is too busy to hold you on demand? Some momma is too too too??? And she calls you needy? Well, some momma, watch this. I call dibs on the nonna. I made her lap mine. And she has a glorius lap. Needy McNeedy, ha? Well who is needy now? Yes, I have my own on demand petter. Nonna is MINE! Hey momma, are you feeling lonely there by yourself? Are you? Virbac has issued a voluntary recall for six lots of their heartworm preventative, Iverhart Plus Flavored Chewables, due to a failure to meet stability specifications during the life of the product. Lot 120844 (Small up to 25 pounds). For questions or concerns about the Iverhart Plus recall, please contact Virbac Technical Services at 1-800-338-3659 ext. 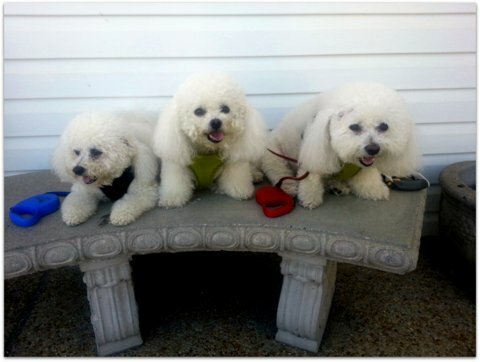 3052.
wORDLESS wEDNESDAY - play with ME! So.... blind momma took a bunch of weird pics today. Obviously most were not even remotely usable. Have you noticed? All the smiles? You know why don't you? 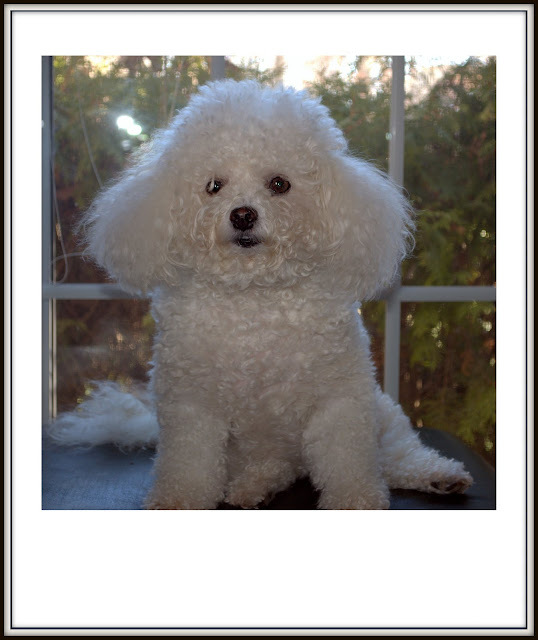 Owning a BICHON makes you happy! You should adopt one TODAY! Wynn, your momma was asking questions too! Watch out. I thought they met to eat lunch, not gossip about us! Hooooomans! so when does the food get served? I see no food! I had to remind the old momma that it's been a while since she has made us some SALMON crisps. Yes, you read it right. 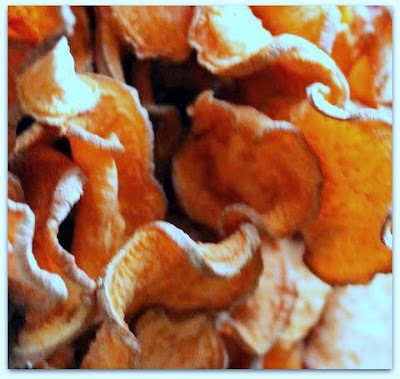 SALMON crisps. She babbled on and on about the smell. Smell? You mean the aroma that makes your mouth all watery??? Give me a break woman, I have put up with all sorts of nasty smells coming out of that oven. I mean... chocolate? Who needs to smell that ??? Nobody with a brain! Why would poison be appealing? So, listen, you are going to go to your White Hat Luncheon today. I forgive you for abandoning us with nonna. But.... in return I will expect some salmon crisps. You add the oatmeal [start with 1 cup, but you might need more depending on your kind of oats and how much it absorbs] and mix to a thick batter. Let it sit for about 20 minutes. This is THE MIXTURE. Bake at 350 for about 45 minutes. Now serve them up! So are you in??? Will this be enough to assuage your guilt? No, but it will be a start. You are not getting off this easy. 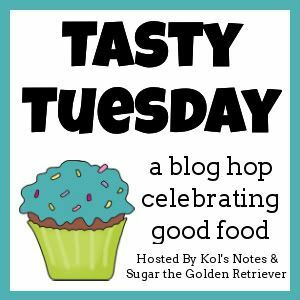 Tasty Tuesday Nirvana Bone-anza, JENGA! Oh yes, BTW, Do you know today's date?